Well, Solaris 11 is now out there and I'm sure people are eager to get tinkering with the new functionality. To help you, I'll be collecting links to some useful documents and blog posts I've found and add them to this post over the next week. 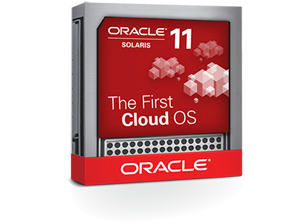 Oracle Solaris 11 - Resources - this page includes links to data sheets, FAQs and several white papers. Taking Your First Steps with Oracle Solaris 11 - good run through for someone who's never touched Solaris 11 or Solaris 11 Express. How to Script Oracle Solaris 11 Zones Creation for a Network-In-a-Box Configuration - taking zone creation to the next level with an emphasis on the networking side of things. Introducing the Basics of Image Packaging System (IPS) on Oracle Solaris 11 - wooohooo!!! No more patching. IPS integrates beautifully with boot environments and ZFS allowing for quick easy rollbacks if things go wrong. It happens automatically too. Oracle Solaris 11 Product Information Center - this is actually a knowledge document on My Oracle Support that will grow and evolve as more documentation and alerts about Solaris 11 come to light. Most of these are from Oracle employees who have been actively involved in the development of Solaris 11 and most of the documentation linked above. This is the section I anticipate will grow over the coming week. The most inviting Solaris 11 features - Part I, Boot Environments - probably one of the best features of Solaris 11. Start getting into the habit of creating a new BE or snapshot BEFORE you make any system changes. It's cheap, quick and oh so easy to revert if things go wrong. Password (PAM) caching for Solaris su - "a la sudo"
Immutable Zones on Encrypted ZFS - not just an immutable (read-only) zone, but one that takes advantage of ZFS encryption.